Valentines Day, the traditional day of the year where the lovebirds amongst us are meant to be spending quality time together. However, for reasons which are sometimes beyond our control, being with a significant other on Valentine’s Day isn’t always a possibility. Some individuals are working away from home and therefore are forced to live separately to their partner. And there may be those who aren’t currently in a relationship, but who just want to show their love to long-distance relatives or friends. There are still plenty of ways to celebrate the day with your loved ones - no matter where they are in the world. One of the most popular ways for people to express their love for one another on Valentine’s Day is by sending thoughtful gifts. If you’re planning on doing this and wish to avoid standing in long Post Office queues, you can save time and money by using a courier service. Courier comparison website My Parcel Delivery will help you look for a service which fits your personal needs. Whether you’d prefer to leave a parcel at a designated drop-off point or have it collected from home or work, there are a selection of trusted brands to choose from, including UPS and Parcelforce. Distance needn’t be an issue either, as couriers can deliver to hundreds of locations across Europe and the rest of the world. Before you start shopping around for the Valentine’s gift that will impress your other half, it’s worth checking out the list of restricted and prohibited items. There are some products which UK couriers are not allowed to handle, so it’s best to make sure your potential purchase isn’t on that list if you know you’re going to have a gift delivered. Gift options aren’t limited by any means, as there are still lots of beautiful items which can be transported without any issue via a courier. Basic compensation cover is often available when using couriers, but sometimes it’s worth paying that bit more for additional compensation cover – especially if the gift is of high financial or sentimental value. While most of us would probably agree that receiving a gift finished with pretty red ribbon or placed in a delicate gift bag shows that extra bit of love and attention, it’s equally important that you package up your gifts correctly. This ensures that they will be protected from any potential damage while en route to the recipient. 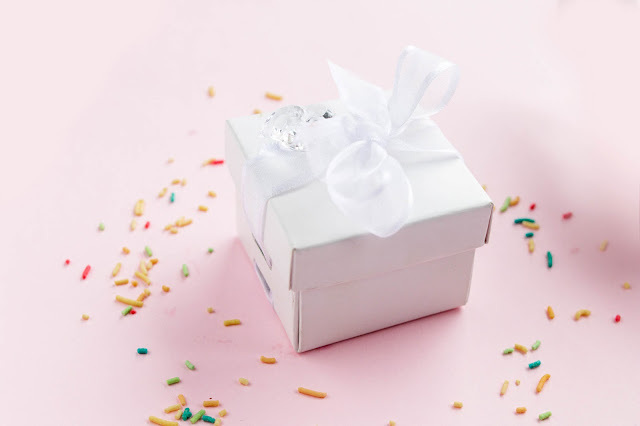 Gifts can still be covered with intricate wrapping paper or bows, but they must always be placed in a parcel box which is strong enough for transportation. Then you can rest assured that the parcel will arrive safe and sound, yet still remain a mystery to your Valentine. Instead of getting downhearted about not being able to spend Valentine’s Day with your loved ones, these gift-sending tips should help you to keep the day as a special one. Have a fantastic day – however you choose to celebrate it. Valentines Day can be a nice time to express Love for a Loved One. A meal at a restaurant has often been one way that has been popular, or so I have found. Whilst it can be nice to receive a gift, it is but a token on Love. Expressing our Love is important, it can also be personal. A token of Love can be a poem, a red rose, a cake, etc, etc. Best Wishes! Happy Valentines Day! As you mention there is likely some who would like to send a gift to a loved one. Timing, Quality of Gift and Service are all important aspects. Many may chose to make use of florists who do hamper gifts also. We do want to express our love. So gift and service are important qualities we want to be provided with :- When we make use of any Business, Service. Counting down to Valentines Day. Need to get organised, browse the shops, etc. Always nice to open a gift. Surprise gifts can be so nice.